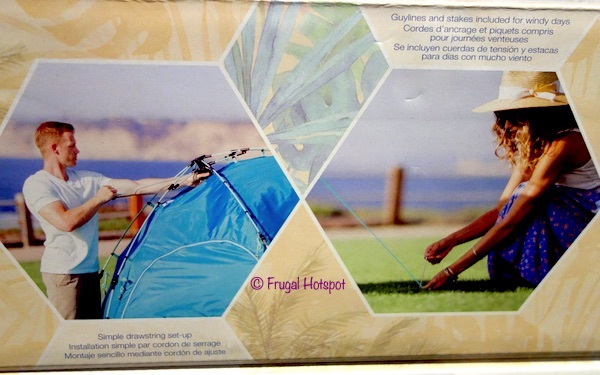 With a simple drawstring set-up and guylines and stakes, you have a semi-private shelter at the beach or park. 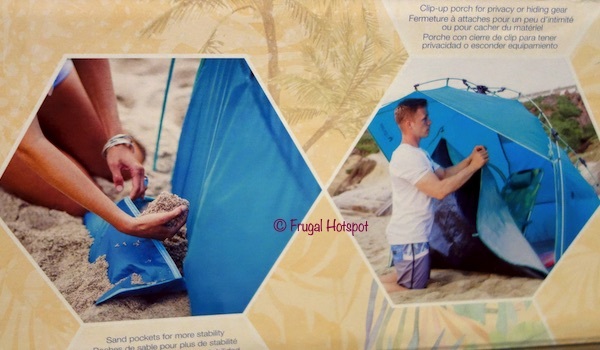 There are sand pockets to fill with sand if you need more stability. If you’re heading out to play, you can clip up the porch for a little more privacy and for hiding your stuff. 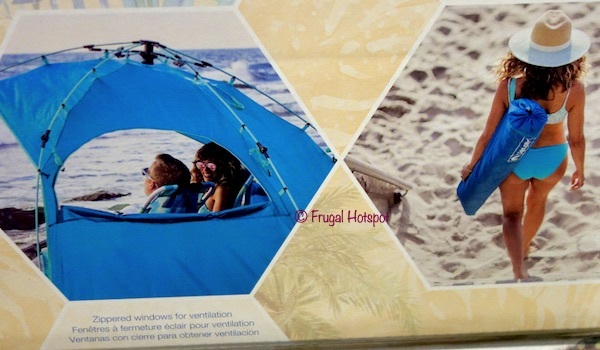 There are 2 zippered windows for ventilation and light. 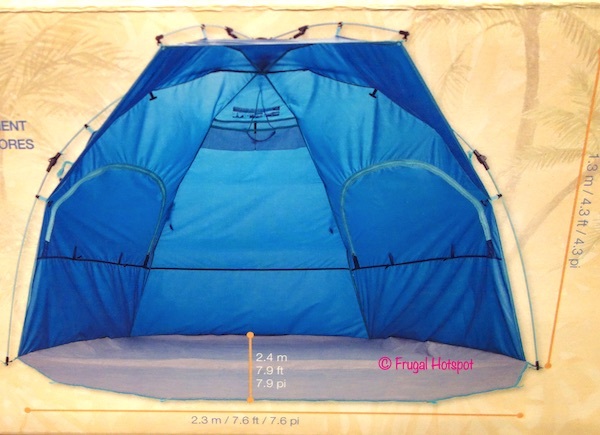 Plus, a carry bag is included. 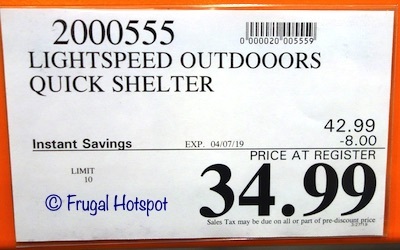 Select Costco locations have the Lightspeed Outdoor Quick Shelter on sale for $34.99 (after instant savings), now through April 7, 2019. That is $8 off Costco’s regular price of $42.99. While supplies last. Item #2000555.